Catalign Innovation Consulting: Is innovation really about progress? Is innovation really about progress? I show this picture to the participants of innovation workshops and ask, “Is this an innovation?” There would typically be a silence for a few seconds before someone would say, “No” and then a “Yes”. What is your answer? My answer is “It depends”. From the perspective of Mumbai city, 26/11 terrorist attack is not an innovation. However, from the perspective of the terrorist organization which masterminded the attack, it would be a radical innovation. There is an idea, its implementation and a huge impact indicative of a successful mission. In the current times, innovation has acquired a positive connotation. When we look at the technology breakthroughs that has permeated our lives, it becomes obvious why. Electricity, telephone, TV, computer, Internet, new life-saving drugs, automobile, aeroplane – these innovations have made our lives productive and enriching. It is no surprise that many for-profit companies are considering innovation as an important lever to achieve their growth agenda. Countries such as India have also put innovation as an important element to improve their GDP growth. So, where is the problem? Nothing in life is that positive. Twentieth century witnessed killings of over 150 million people in wars and other conflicts. The primary instruments used for these killings - Atom bomb, guns and war planes are also examples of innovations. Production and consumption of guns have also contributed to GDP growth. In fact, there is nothing like a bad GDP growth. 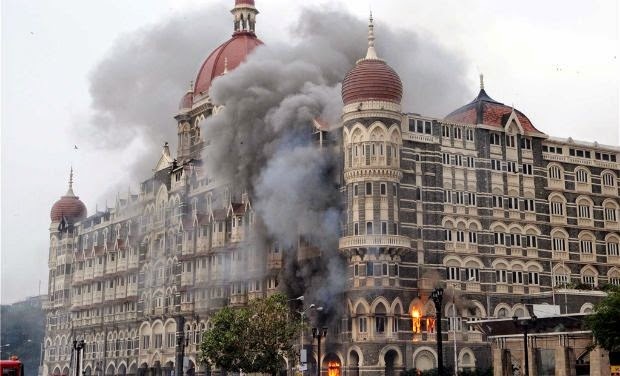 If Taj hotel is damaged in a terrorist attack and needs to be rebuilt, the construction work contributes to GDP growth. In fact, a lot of growth has happened by consuming non-renewable resources and adding toxic chemicals to the environment. None of this damage is reflected in the GDP. I feel, innovation is a tool, just like a hammer. It is value-neutral. You can use it for the good of the world and for the bad of the world. However, there is the catch. Most of us have good intent when we begin a journey and unknowingly it leads us to a wrong place. I am sure Hitler was trying to make the world a better place – according to his perspective. When Chahattisgarh Government mobilized and deployed Salwa Judum movement to counter the Naxal violence in the region, it had good intentions. However, it resulted in human right violations. Unfortunately, ideas don't carry a tag saying "good" or "bad". Innovations in India and elsewhere will most likely create growth. But at what cost? That is not clear. Perhaps pollution is the other side of the same coin. I guess, I don’t understand what progress means. I prefer to remain curious about its meaning. Role of value system in innovation: An insight shared by Dr. Gururaj (Desh) Deshpande in a talk in 2012 in Bangalore. Thanks Vinay for the Great Post! I agree with you that innovation is neutral, neither good nor bad. I also believe that innovation can be finally understood as a logical evolution process (adaption to the environment). The fact that reptiles evolved into birds isn't good or bad it is just a logical reaction to changes in the ecosystem. I explain all this, and more, in this article The Ultimate Innovation Process. Thanks Anu for sharing the appropriate Doha. if I understand Rahim correctly, he is saying that talwar (or weapon) belongs to the one who uses it not the one who makes it.